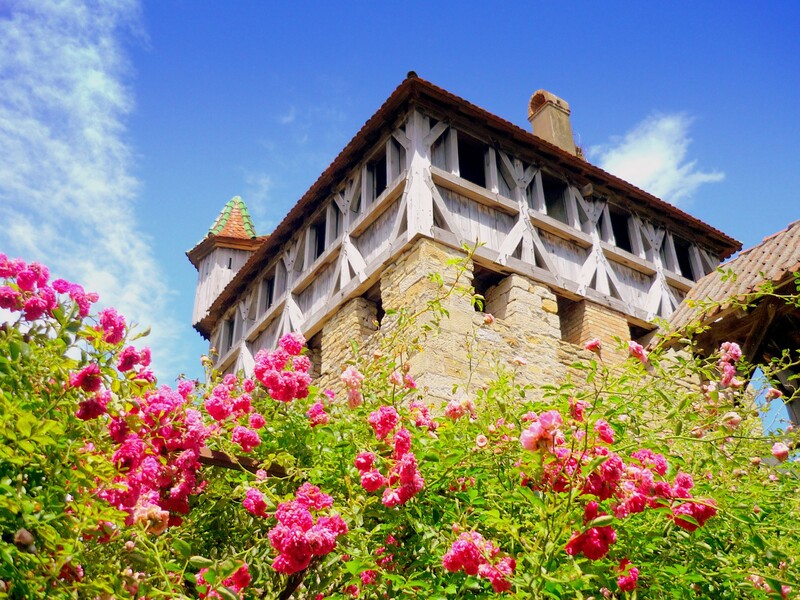 Since the 1970s, several eco-museums have been opened in large outdoor sites throughout France and Europe, focusing on the display of the regional cultural heritage and the involvement of the local community. 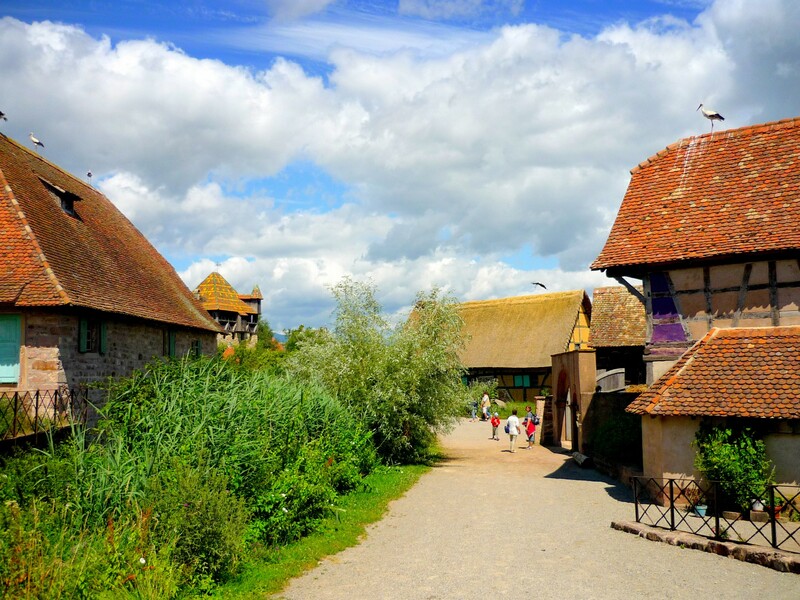 The Ecomusée d’Alsace, created in 1984, is one of the largest and most visited authentic open-air village museums in France with its 100 hectares of village, fields and forest. The Ecomusée d’Alsace includes more than 70 old rural houses which were due for demolition. All these rural homes have been carefully dismantled and meticulously re-erected without substantial loss of authenticity in their original village. The buildings includes farmhouses and half-timbered houses, workshops, a town-hall, a school, a wash-house, a chapel, a sawmill and several barns. 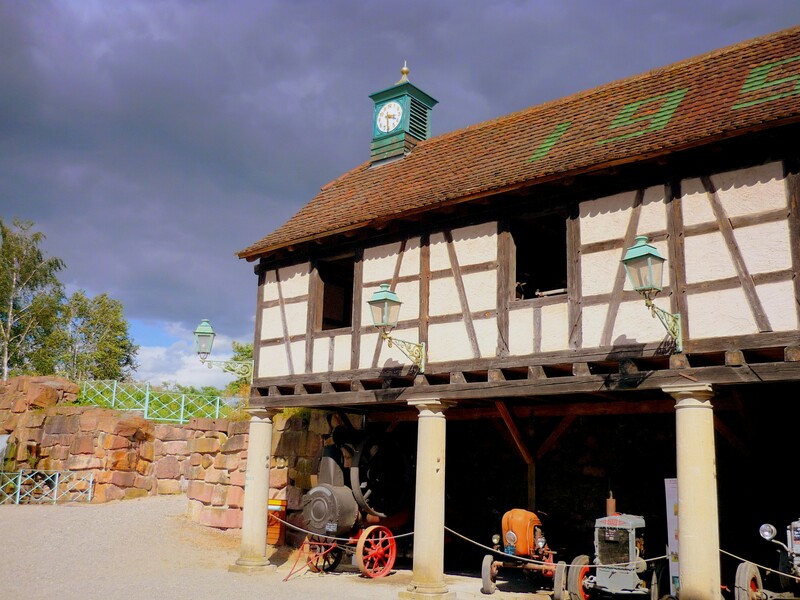 Their trans-location to the open air museum was facilitated by the wooden structure of the vast majority of the homes: in Alsace, half-timbering is extremely common, except in the Alsatian Vosges, where houses are built from stone. The shapes of the interlacing beams conveyed symbolic messages, including fertility (diamond-shaped), protection and multiplication (the cross of Saint Andrew). The steeply sloping roof prevents snow from collecting and is made of “Biberschwanz” (red tiles in the shape of a beaver’s tail). The region of Alsace is divided into seven areas and the architectural features of the houses in each of these areas are different. Houses from the Sundgau (to the South) are very colourful but less elaborate while those from the foothills of the Vosges (along the Alsace Wine Route) boast monumental porches and rich ornamentation. These differences are due to the use of the buildings: for animal breeding, agriculture or viniculture. A common feature to any Alsatian house is the multifunctional communal room, the “Stube”, serving as a living room, dining room, reception room and sometimes a master bedroom. 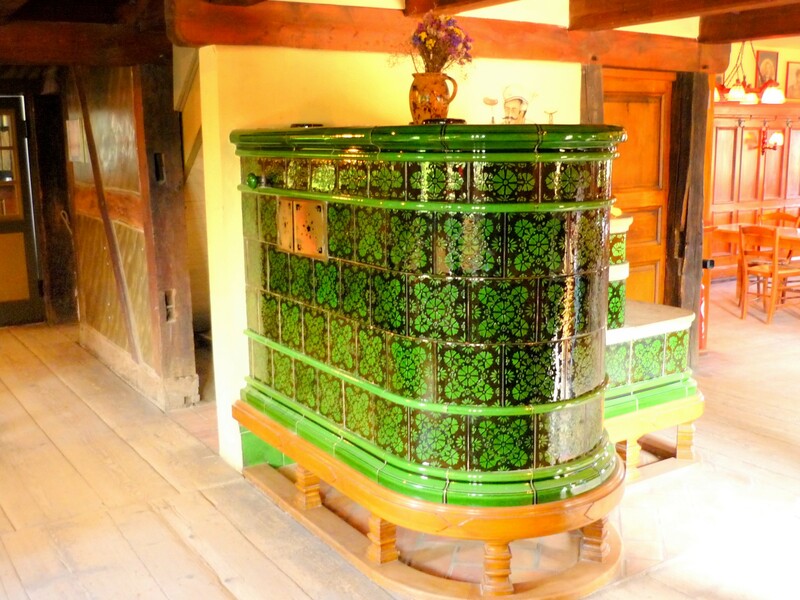 In the middle of any “Stube” stands the traditional and monumental Alsatian stove, called “Kaecheloffe” (called “Chunscht” or “Kunscht” in the Sundgau). The fact that the rural houses are separated from each other is an essential particularity of the Alsatian village. Unlike the rural homes in Lorraine, the Alsatian houses do not share a wall and each of them is a separate entity, which should nonetheless be harmoniously integrated into the rest of the village. The Ecomusée d’Alsace has stayed true to this characteristic feature, recreating a charming village with its buildings, squares, narrow paved lanes, fountains and wells. Until recently, the Ecomusée d’Alsace used to host an old-style indoor fair, “Eden Palladium” with a beautiful merry-go-round. Apart from the “Stoomcarrousel” in Efteling (The Netherlands), this kind of saloon was quite unique in Europe and dated back to 1909. 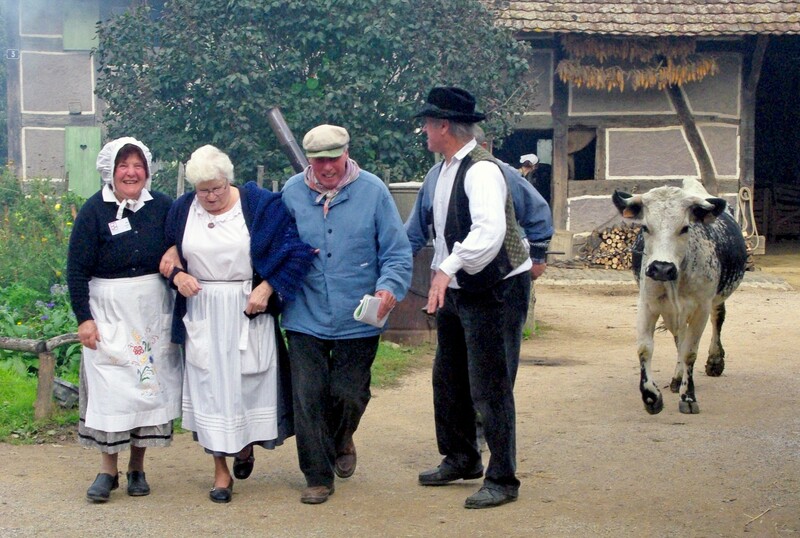 Costumed volunteers portray the traditional rural life in a typical Alsatian village, conducting everyday household tasks, crafts and businesses. As soon as the visitor enters the museum, he/she immediately embarks on a journey back in time, totally immersed in the Alsatian culture of the late 19th and early 20th centuries, experiencing the unique local environment in a lively and educational way. 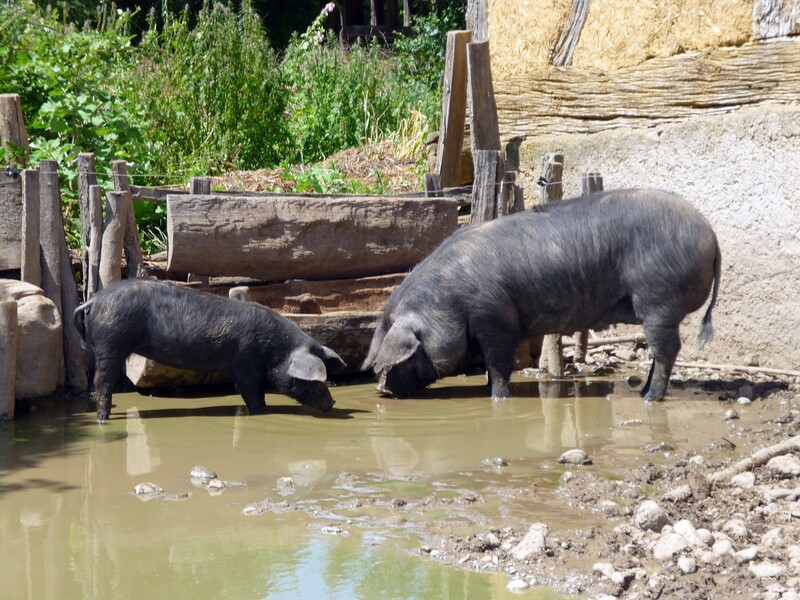 The homes and barns stage many traditional activities, based on working life in an Alsatian village. 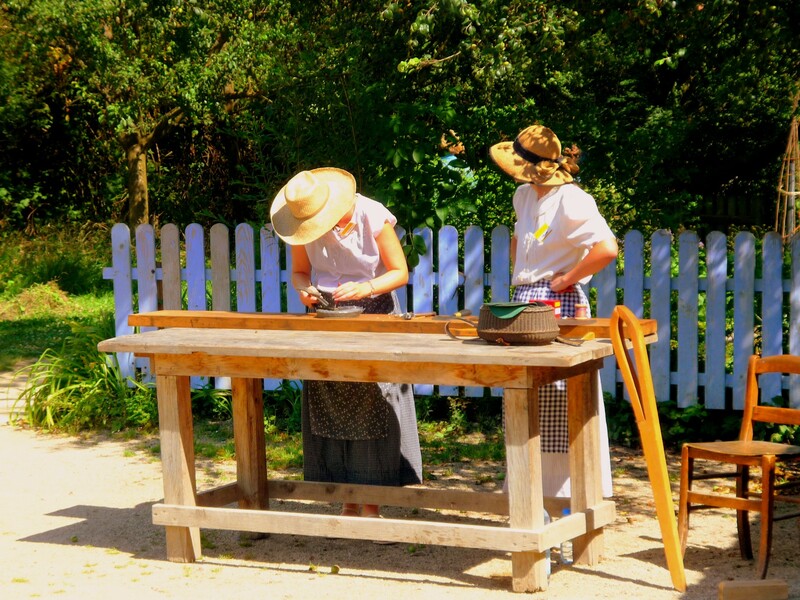 A large number of passionate volunteers demonstrate a wide range of entertainment features to the visitors: spinning wool and weaving, farming without modern equipment. Many other traditional craftsmen unveil yesteryear activities and trades, most of which have been long forgotten: baker, blacksmith, wheelwright, carpenter, saddler, sawyer, clog maker, cooper, potter and coalman. Other popular events (fêtes folkloriques) take place regularly in summer (July-August) and at important popular and religious times: Easter, Candlemas, and particularly Christmas with its Christmas market. 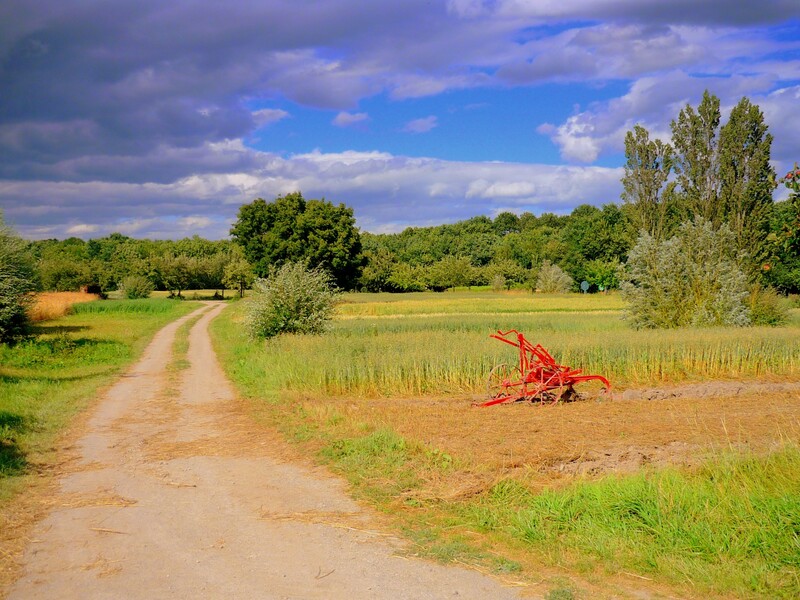 The natural park of the Ecomusée d’Alsace includes an apple orchard and fields in which old varieties of crops grow following traditional technics, as well as bee-hives and a poultry-yard. Further away, a white chapel stands in the centre of the forest in a quiet and peaceful clearing. 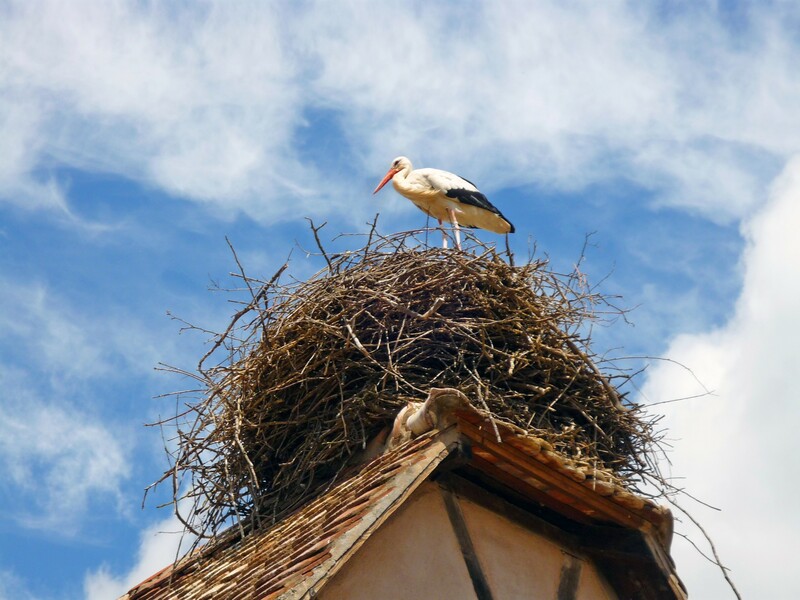 The friendly white storks, the iconic emblem of Alsace, are found in large numbers in the open air museum on roofs of houses and might even welcome you in the car park! To the distress of the Alsatian population, this bird almost disappeared from Alsace in the 1970s (only nine pairs were alive in the Upper Rhine region) but thanks to a conservation programme, storks were reintroduced in Alsace and their numbers now exceed 270 pairs. 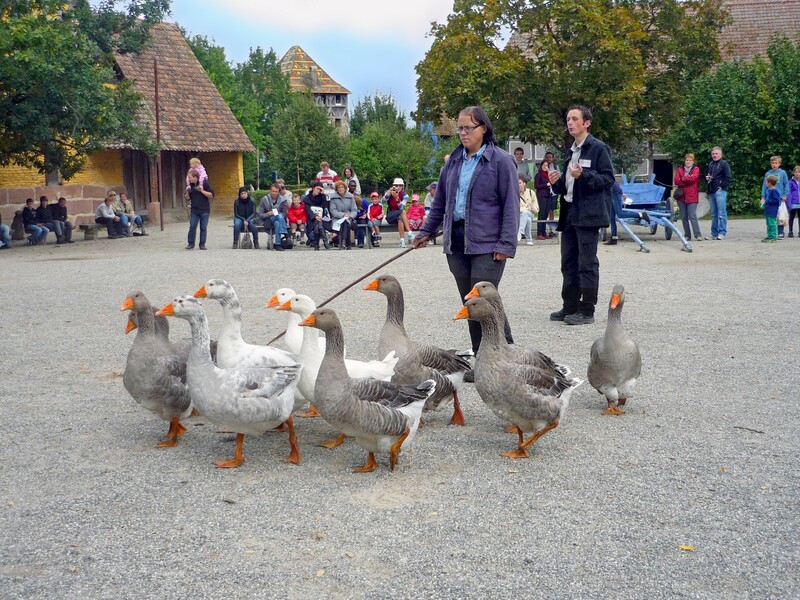 The success of the programme has benefited the region of Lorraine across the Vosges Mountains where white storks can be spotted flying over the famous Place Stanislas in Nancy. 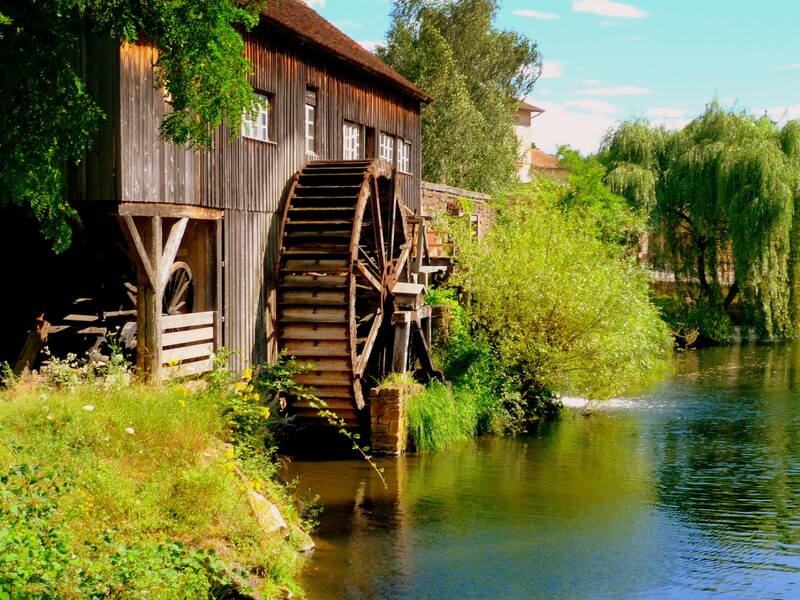 The open air village museum houses restaurants and refreshment areas (buvettes) but you might prefer to take a picnic with you and relax in one of the charming streets and squares of the village. The bakery of the village sells traditional bread and delicious “tartes flambées” (flammekueche). 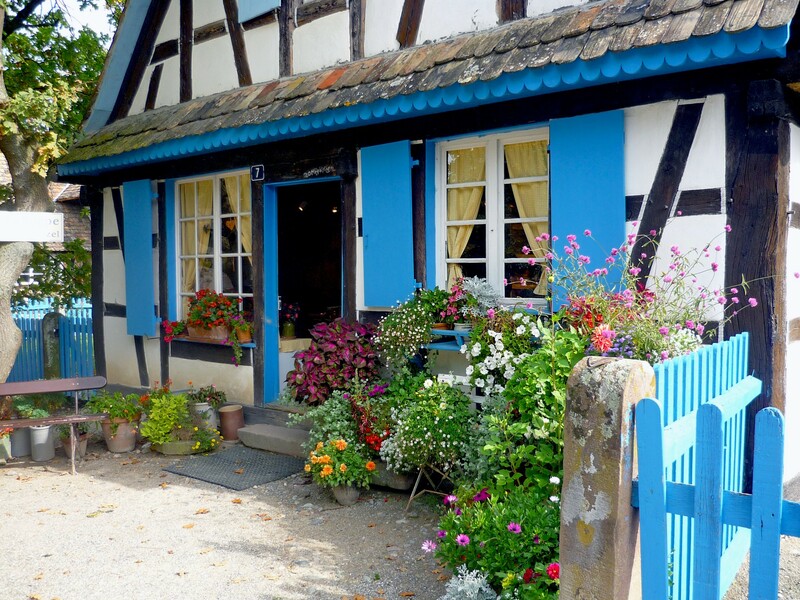 A souvenir shop is located at the exit of the Ecomusée and offers traditional Alsatian items and food such as stuffed storks, ceramic cooking pots, ginger breads and lollies. 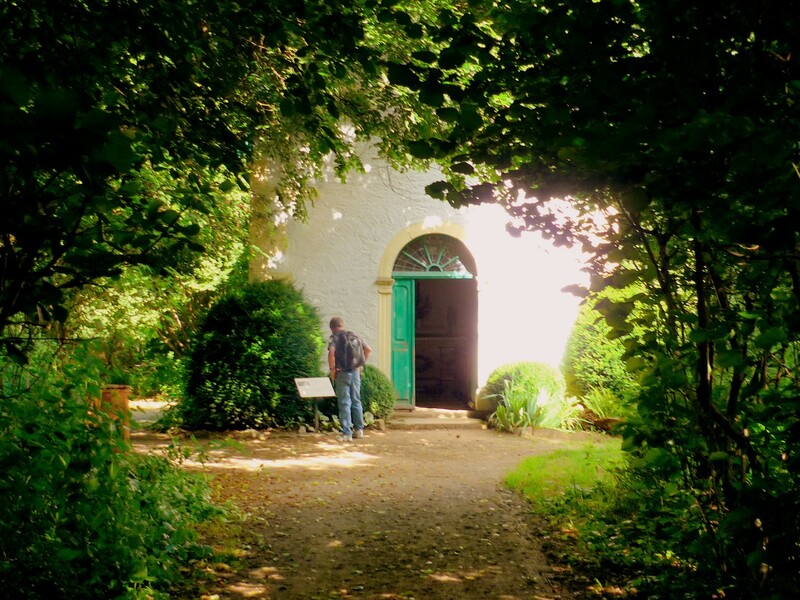 A whole day is required if you wish to fully discover the Ecomusée and its workshops, particularly in summer and on weekends when a wider range of outdoor events are organised. The Ecomusée is easily accessible by road, located between the RN83 (Colmar-Belfort) and the A36 motorway (Strasbourg-Mulhouse). The museum is 14km north of Mulhouse, 28km south of Colmar. For more information visit the Official Website of the Ecomusée. Colmar and Mulhouse are easily accessible by car from Strasbourg and Basel, as well as from Lorraine (Nancy and Metz) and Franche-Comté (Besançon). If you travel from Australia or the Americas take a flight to Paris Charles de Gaulle, Zurich or Frankfurt Airports and rent a car from there. The TGV from Paris-Gare de l’Est takes just over 2 hours to Strasbourg, and some trains continue their route to Colmar and Mulhouse.